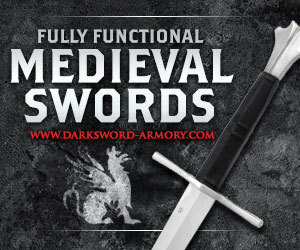 The Medieval Knight Sword (model 1306) was my first Darksword Armory blade. 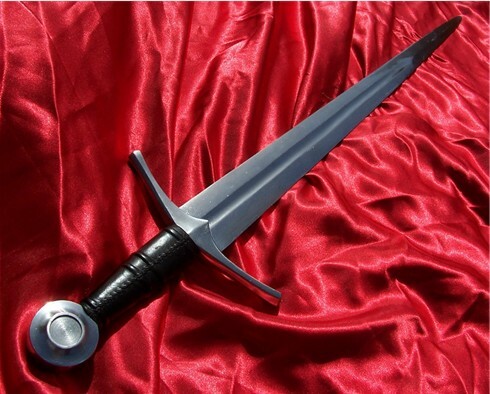 As such, despite being rather attractive, it was subjected to a battery of hard testing and was the sword chosen for my Darksword Armory destructive testing. As you probably know, it passed the testing with flying colors. But toughness is not all this sword has going for it..
It’s funny how, when you first receive a sword from a new maker, the way it is packed tells you something about what to expect. 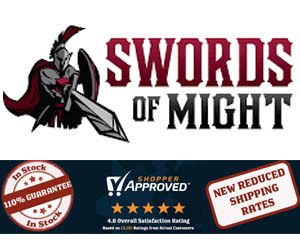 And I must say that I was very pleased with the way Darksword packaged the Knight sword – so much so that I wish other sword companies would take a leaf from their book! For a start, the box itself was flat and perfectly sized, allowing no room for the Knight sword to rattle around. 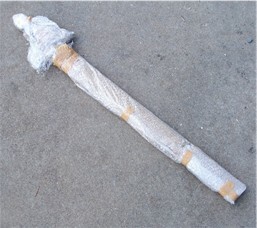 Even better, the scabbard and hilt were wrapped separately in bubble wrap – making it very easy to remove them in a few seconds without a knife or scissors. The blade was covered in a sheet of plastic inside the sheathe, which peeled off easily, revealing a well greased and protected blade. Naturally, I took a few moments to give the knight sword and scabbard a quick once over. I have to say that the scabbard itself was a disappointment, though not unexpectedly so. 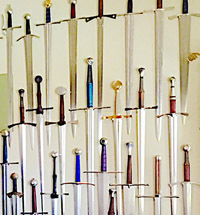 I had already spoken to the owner of Darksword Armory, Eyal Azerad, about this before hand and we had stated that the scabbard was currently only something of a free bonus and a good method of storing the blade (though he also stated they are working on a new design with deluxe fittings). 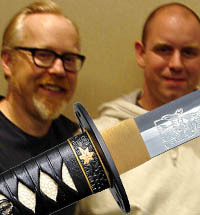 Eyal wasn't kidding when he said he was working on a new scabbard for this and all the other DSA swords.. Here's what it looks like today.. 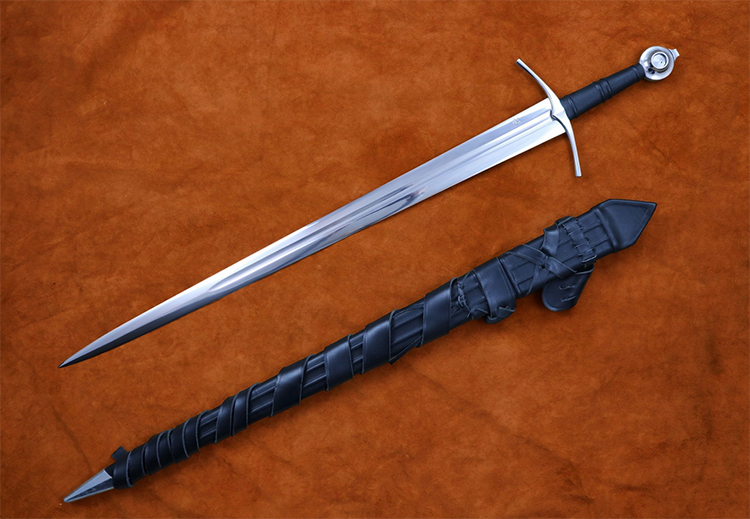 The only problem is, such a scabbard is very expensive to make - so they offered it as an optional extra (for an additional $120). But even the basic one is a HUGE improvement on the original - wood core with leather minus the straps, bells and whistles). The quality of the hilt and pommel of the 1306 Knight sword left me nothing short of deeply impressed – not only from a functional point of view (everything was super tight with no play or rattling) but also from an aesthetic one. The steel (magnetic, not stainless) pommel itself is obviously milled, as it is perfectly round and has ‘record like’ swirling grooves in the central boss and is extremely nicely done. However, what was really beautiful was the grip. A wooden core covered in quality leather, it was snugly fit and super tight with 4 risers and beautifully stitched on one side. This was the kind of grip you almost NEVER see on swords at this price point (Windlass, eat your heart out!). The cross guard perfectly matched the rest of the sword – and looked and felt extremely solid – with a gentle and even curve towards the blade and 5 sided lobes. All in all, some of the best furniture I have seen on any sword close to the US$300 price point! 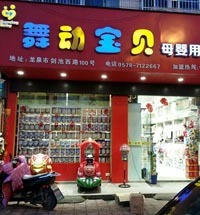 Now the next photo is not one you can easily replicate these days. 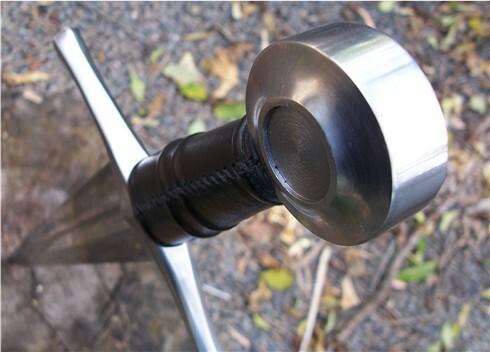 The early version of the Knight sword had a screw on pommel - the current version is peened for even more durability. But of course, as I could take it apart, I did - and this is what was under the hood as it were. As you can see - the tang of the Knight sword looks a little on the thin side - especially when compared to the beefy monsters we see on some other heavy duty beaters. 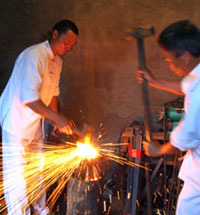 However, it is within historically correct parameters – as the meat of it is where any shockwaves from impact would center, and indeed very similar to those of Windlass steelcrafts and most other threaded tang swords on the market. It's also covered in a protective black patina - good rust in other words (good rust is black, bad rust - brown). The shoulder of the tang and blade was actually rounded, another thing uncommon on swords at this price point, and overall, it seemed quite adequate (and later, proved to be more than adequate as you'll see from the destructive testing). As it is a hand forged blade, and not CNC Milled like most other North American swords (most of which cost at least twice as much, and don't involve any actual forging! ), the blade has some real character to it. There are hammer marks along the length, giving it a slightly bumpy, uneven surface that is only obvious when you look down the length of the blade. While you can clearly see from the pictures that it is far from being an ugly sword, there are a few grind marks and scratches here and there that could do with a good polish or a more even satin finish. 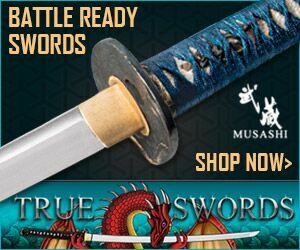 Like most other medieval swords on the market, the blade comes unsharpened by default. While these days Darksword offers a sharpening service for an additional $30, it's pretty basic and really not necessary for me as I could do it myself. But of course, not everyone can.. The profile of the knight sword is described as that of an Oakeshott Type XIV - a sword designed for punching through the gaps in chain armour, as well as cutting unarmoured or lightly unarmoured opponents (it could possibly also be classified as a Type XII - or somewhere between these, though I personally think it leans more towards a true XIV). Anyway, the point is - the knight sword needs to be both stiff enough to penetrate chain, yet flexible enough to withstand lateral impacts. The 1306 Knight sword covers both ends of the spectrum perfectly. The blade itself is very stiff. But with some hard pressure, flexes very nicely – springing back to true every time despite some considerable force being applied. You can see how resilient and well tempered it is in the short video below. 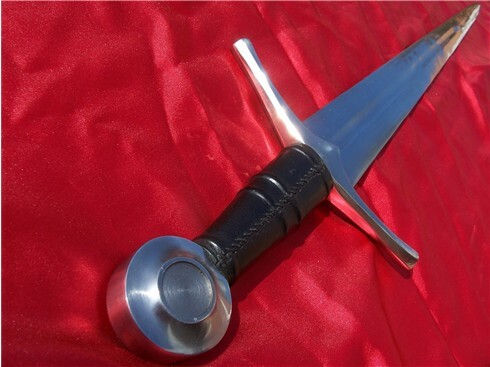 As far as dimensions go, it is extremely similar in terms of length, weight and balance to the US$1000 Sovereign Sword by Albion (which is also a Type XIV, though with perhaps a more historically accurate blade profile). Weighing in at 2lbs 5oz with a Point of Balance around 4.5” from the cross guard, the knight sword feels very alive in the hand. 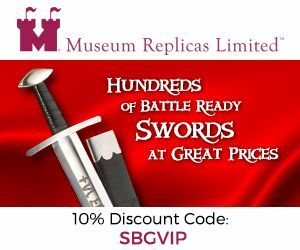 This is not true for all of Darksword Armouries swords, some of which are quite a bit heavier than the historical originals they are based upon, however the knight sword is exceptional in this regard. I actually found this sword to be extremely responsive. Recovery time after a cut is excellent, and it is capable of very swift combinations of thrusts and cuts. With the balance positioned as it is, it is easy to deliver extremely accurate and rapid fire thrusts and very clean cuts. 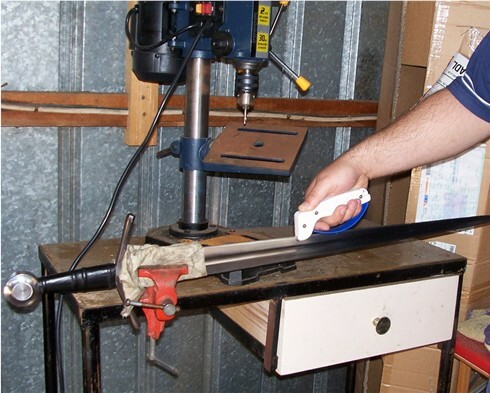 Now obviously, with a 1.4mm unsharpened edge out of the box – I needed to give the Knight sword an edge for some cutting. 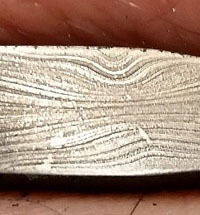 Short of using Darkswords' rudimentary sharpening service, there were two options – either take it to the local knife shop in the mall for a quick rough and ready edge, or put one on myself using the techniques explained in my sharpening guide. But I was left thinking, what about a third option? 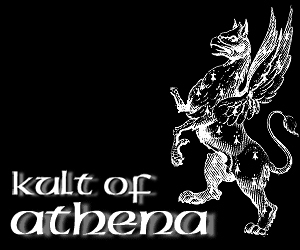 One that would allow me to quickly and easily sharpen the sword that ANYONE, regardless of experience – could apply? 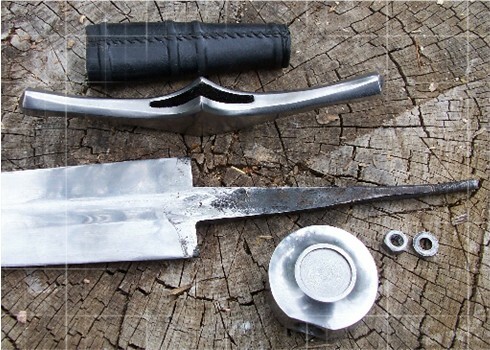 Naturally, it was a secondary bevel – not ideal, but very easy to achieve – literally anyone can do it (I also experimented with a second sword, and it is not necessary to clamp it – it can be done in the lap. But it is quicker and easier if clamped). Some quick cutting tests revealed that it was good enough for cutting a water filled P.E.T. bottle in half. Perhaps not the cleanest cuts in the world, but they were cuts. 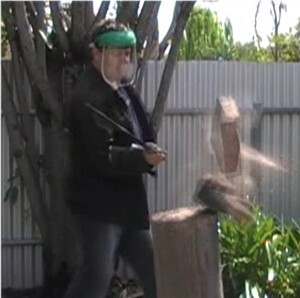 However, waterbottles are a good target - but I wanted to see how this sword can REALLY cut. Well from here, I proceeded with a battery of rather brutal testing on the newly sharpened blade which you can see in the featured article below. From cutting concrete bricks to the reinforced lip of a 55 gallon steel drum, I think we can safely say that once sharpened this sword can cut quite nicely.. 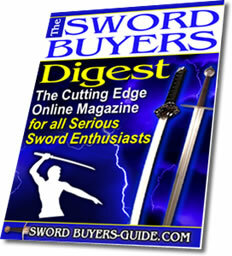 I was very impressed with the model 1306 Knight Sword. Here was a sword that did not handle or look like your typical 'beater' but it's durability was proven without a shadow of a doubt. Over the years, it has been further refined - with a peened pommel instead of threaded tang, upgraded scabbard and various other cosmetic improvements. Normally you would expect these improvements to dramatically increase the price, but when I bought it back in 2007 it was $299. Now it is $330..
$30 more for a quality leather scabbard and a peened pommel is certainly money well spent. All in all, I can find very little wrong with this sword and heartily recommend it.